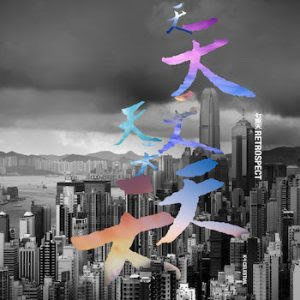 Celestial 天上 is the brainchild of Peter Millward, who is releasing a new dub record ‘Retrospect 七重天’. This is in part to celebrate the 20th anniversary of debut ‘Spirit House’, not only by reworking old songs, but by also presenting unheard ideas from a collation of over 20 years or so. The album relies prominently on cinematic and sweeping strings akin to film scores from the 1960’s (and still prevalent in many James Bond films), which consistently set the darker atmospheres and undercurrents throughout the record. Clean octave guitars are also included frequently, with phasing delays which add an element of brightness to the mixes. Millward roped in many musical friends to help on the majority of tracks, as well as a range of world instruments from the koto and shakuhachi to accordion which definitely add elements of intrigue. Each instrument changes the feel nicely whilst the bass is overly subby, and the rhythm sections are subtle and laid back. The piano is produced warmly and similar in tone to Nils Frahm or Goldmund, containing a very repetitive nature. Sadly, it’s hard to differentiate the songs, as the tempos are almost exact in each instance and there is minimal variation in the overall components. ‘Vietnam Redux’ feels a suitable choice as an introductory track, but every other track on the album could easily be interchangeable with it. And whilst the production is clear, crisp and well mixed, it doesn’t remove the fact that the initial ideas don’t develop, and continually repeat. Chiming piano parts, while nice, feel overused, as are the clean octave guitars, the syncopated bass lines and Avalanches-esque vocal samples. It’s like a pinch of Moby, a dash of ‘Dial M for Monkey’-era Bonobo, and a handful of The Specials’ bass or brass lines, but without a distinctive end product. Adrian Da Silva guests on ‘Dead Ahead Dub’, which feels interrupted throughout by a less-than-pleasant thunder sample and ‘Fragments’ features a sample of MTR doors closing, albeit atonal to the music it is being combined with. Meanwhile, ‘Moon Palace (Lust For Dub)’ contains a resonating drum sample with splashy hi-hats similar to Doves’ ‘Black and White Town’. However, ‘Kanchhi Version’ is the standout track by far, with warmly faded brass and an infectious group chant vocal which elevates the song dramatically. The song is also marginally more upbeat from its predecessors helping it to be far more distinguished. Overall, ‘Retrospect’ offers simplistic and delicate ideas but little more to discover underneath. It may appeal to avid dub fans around Hong Kong, but to the general music listener it could be deemed as ‘just background music’. ​Retrospect can be heard here.